Click the button below to add the Special Agents of Christ: A Prayer Book for Young Orthodox Saints to your wish list. You're never too young to be one of the “special agents” God uses to accomplish His will in the world. This prayer book was written by the author of the popular teen prayer book Hear Me especially for upper elementary children. Special Agents of Christ serves as a “training manual” to prepare children for serving Christ in the real world, with sections for daily prayers, prayers for life’s challenges, preparation for confession, and much more. The examples of special agents of the past—the saints—encourage these “young saints” to serve God here and now. Annalisa Boyd is mother to 6 and has fostered 25 children (so far). It is her desire for each child to be inspired to become an agent of Christ and embrace the faith of the Church as his or her own. Annalisa and her family reside in the beautiful foothills of the Rocky Mountains of Colorado. 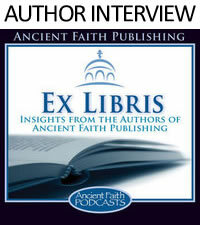 She is also the author of the popular teen prayer book from Ancient Faith Publishing, Hear Me. I read through the book . . . and was so thoroughly impressed with how well the author understands teens and the problems they face as Christian young people in the world today. . . . This little volume could save a life, or at least, bring a troubled teenager closer to God and his or her faith.